6½ x 8½ inch glass negative. San Francisco circa 1920. 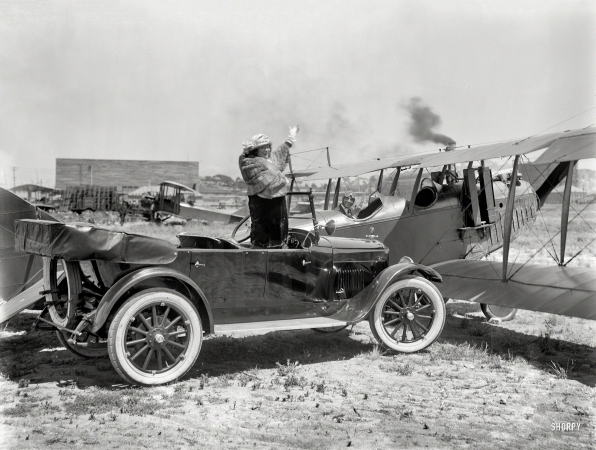 "Studebaker touring car with biplane at airfield."